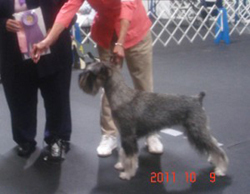 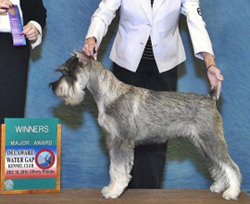 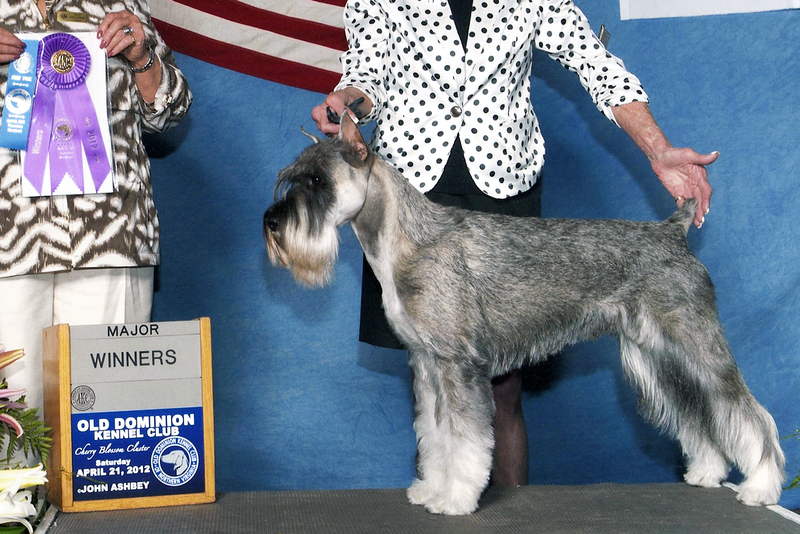 Bode is the son of GCH Halycon’s Quasar Chaser and CH Genstar’s Hot Pink Mama whelped on May 19, 2010. Bode got his start in the show world at 3 months of age. 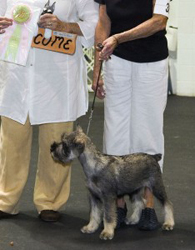 He won the PVSSC AKC sanctioned match with a “Best Puppy” and “Best in Match” at 3 months. He went on to win his first major win at 6 months of age. 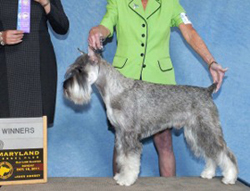 He has continued toward completing his championship with both major wins, and presently he needs 1 point to complete his championship. Once his championship is completed he will be available for stud services.